Lake Toxaway NC is a place where families have been drawn to the breathtaking mountain vista and crystal clear waters since 1903 when the Fords, Edisons, and Rockefellers came by private railroad car. Today in Toxaway, families share 5,000 acres of some of Mother Nature's best work. 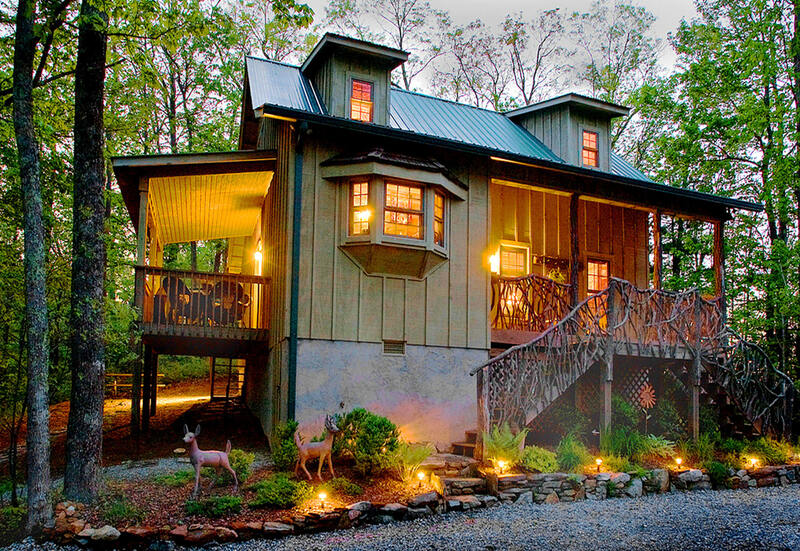 Lake Toxaway covers 640 acres, 14 miles of shoreline, and vacation rentals and second homes in several unique communities. 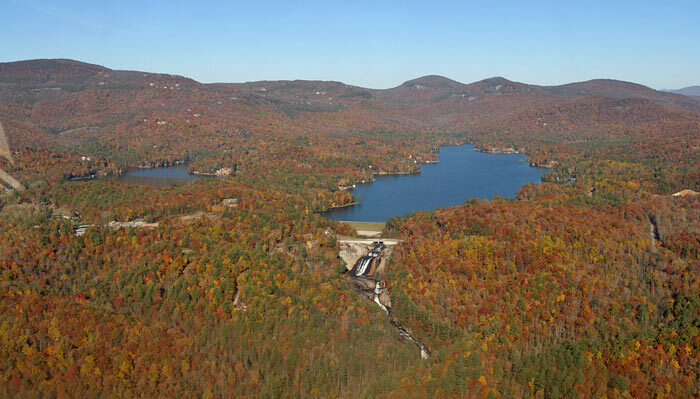 Lake Toxaway is about 30 minutes from Highlands, Cashiers and Brevard, and an easy drive to Asheville and Atlanta. The area surrounding Lake Toxaway NC (and all of Transylvania County) is known as the "Land of Waterfalls" - with very good reason. If you love waterfalls, hiking and the serenity of pristine forests, you'll find them all in the communities of Lake Toxaway, Sapphire and Cashiers NC. 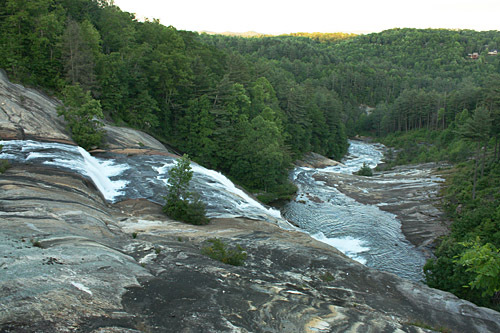 Whitewater Falls is the highest and best know but there are many other "Must See" Falls including Toxaway Falls, Raven Rock Falls, Bear Wallow Falls and High Falls. 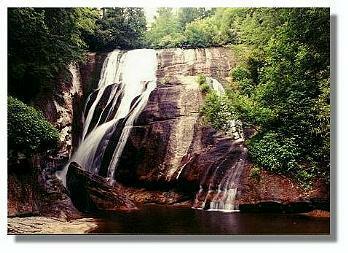 The Transylvania County TDA provides a locator map for several of the area's 250 waterfalls. Whitewater falls. Upper Whitewater Falls, located in the Nantahala National Forest near Cashiers, Sapphire and Lake Toxaway NC, drops over 411 feet and is the highest falls east of the Rocky Mountains. Lower Whitewater Falls, located just across the border in South Carolina, drops another 400 feet. The rugged terrain around these two waterfalls remains wild and undeveloped. A paved, wheel-chair accessible walkway leads from the parking lot to the upper overlook which provides an excellent view of the upper Whitewater Falls. 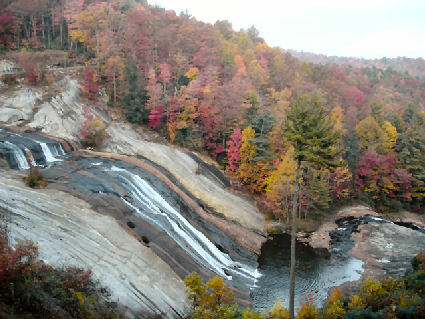 North Carolina Waterfalls.com provides a more comprehensive interactive Google map of 100s of waterfalls throughout all of Western North Carolina. 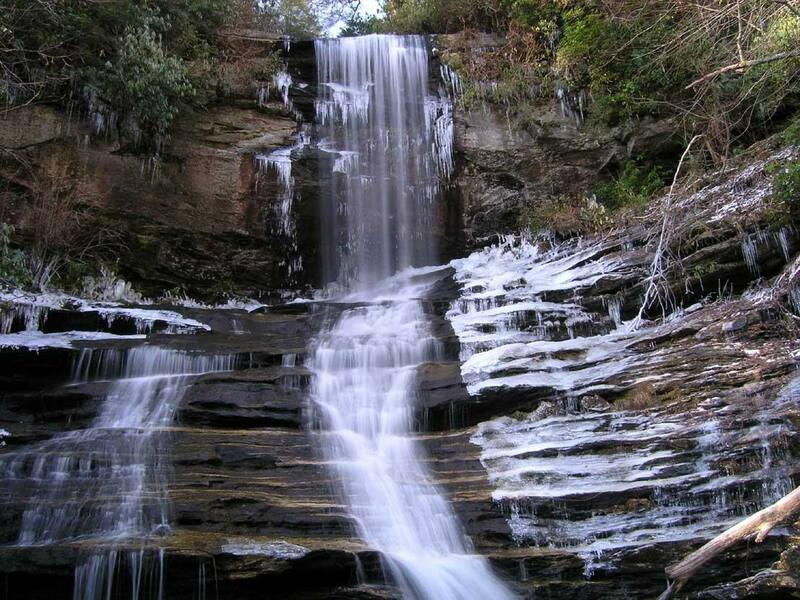 Panthertown Valley is one of the most spectacular areas in the southeast with cascading waterfalls, trout streams, panoramic views, sheer granite cliffs, the headwaters of the Tuckaseegee River and the east fork of Little Tennessee River. This 6,300 acre backcountry area in Nantahala National Forest offers visitors a wide variety of places to explore and has become a popular destination for hikers, mountain bikers, equestrians, rock climbers, anglers, school groups, summer camps, scout troops, ornithologists, etc. Gorges State Park Plunging waterfalls, rugged river gorges, sheer rock walls and one of the greatest concentrations of rare and unique species in the eastern United States are found within Gorges State Park. An elevation that rises 2,000 feet in only four miles, combined with rainfall in excess of 80 inches per year, creates a temperate rain forest and supports a collection of waterfalls.